Applications for the above are required for all on road processions, sporting events, road closures and suspension of regulations. Each application will be assessed from the information endorsed on the appropriate application forms. Conditions imposed by the WA Police Force on successful applications pertain to best/safest operational practices through the liaison of all participating stakeholders. NOTE: Due to a significant increase of applications, completed applications are required to be submitted at least two (2) weeks prior to the event for general sized events and organisers are to commence liaison with the Events Officer as early as possible for major/large events. 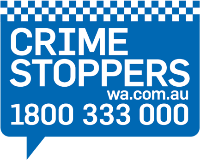 Please note: Permits for events held within the Central Metropolitan Police District are processed and issued by Perth Police Station Events and Operations, Telephone (08) 9422 7137. This application can be applied for by individuals, sporting clubs/groups and social clubs/groups for the purpose of street parties, sporting events, community festivals which are held on a road. Fees apply for this application. Successful applications are then disseminated to the applicant and other relevant stakeholders by the STIPCU. The application for an Order of a Road Closure Form can be found in our Online Services. This application can be applied for by individuals, sporting clubs/groups and social clubs/groups for the purpose of suspending the Road Traffic Code Regulations/Road Traffic Act to allow competitors to compete in a race or speed test on a road. No fee applies for this application. The following procedure applies. The application is to be submitted allowing adequate time for assessment. The Temporary Suspension of the Road Traffic Act/Regulations Form can be found in our Online Services. This application can be applied for by individuals, community groups, religious groups, trade unions, RSL sub-branches ect for the purpose of public meetings where three or more persons communicate, express or procure a view where members of the public has access or are invited. No fee applies for this application. This application is also relevant where a group of more than three persons assemble with the intent of moving from a place of assembly and utilising various streets for their procession. Successful applications are disseminated to applicant and other relevant stakeholders. The Public Meeting and/or Procession Form can be found in our Online Services. Contact your local police station for further information. For events ON ROADS only. Fees to be paid at any police station via general receipt. For major events, public meetings, or processions that cross multiple police districts contact the Permits and Parades Officer at the State Traffic Intelligence, Planning & Coordination Unit for further advice. For events in the Metropolitan area the initial inquiry or application should be directed to the Main Roads WA Traffic Management Officer (Event Coordination). Traffic Management Officer (Event Coordination). For regional areas, contact should be made with the Customer Services Manager at the relevant Regional Office. Telephone 138 138 or refer to Main Roads website.